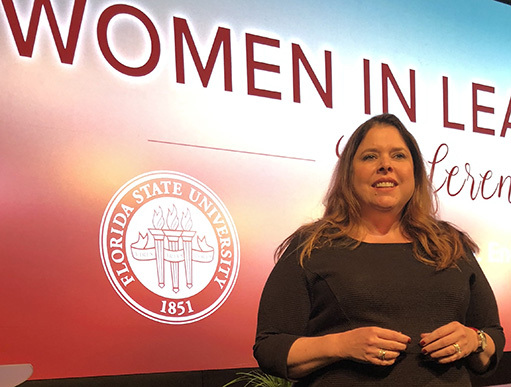 On International Women’s Day, Pinstripe president, Ginger Reichl, had the honor of returning to her alma mater to speak at the Florida State University Women in Leadership Conference. More than 600 community members and students attended the event at the Turnbull Conference Center on the FSU campus. 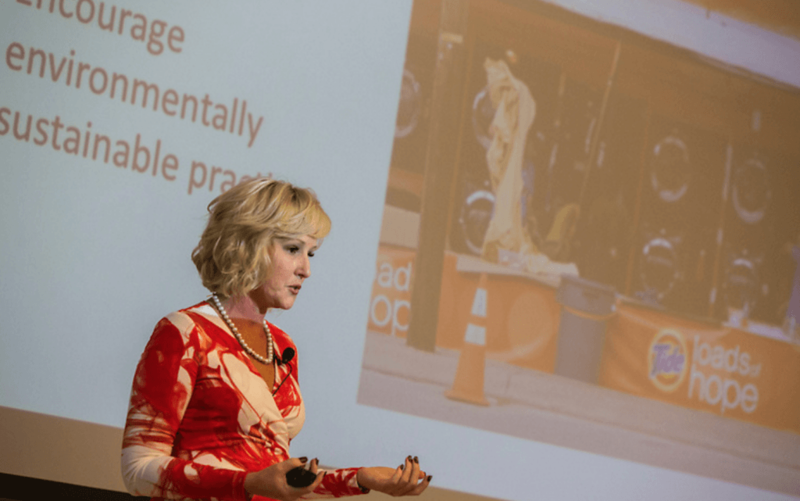 Ginger’s presentation focused on the power of building a network – both personally and professionally. Topics included developing a personal brand, leveraging social media as a professional, and tips for making the process more comfortable. 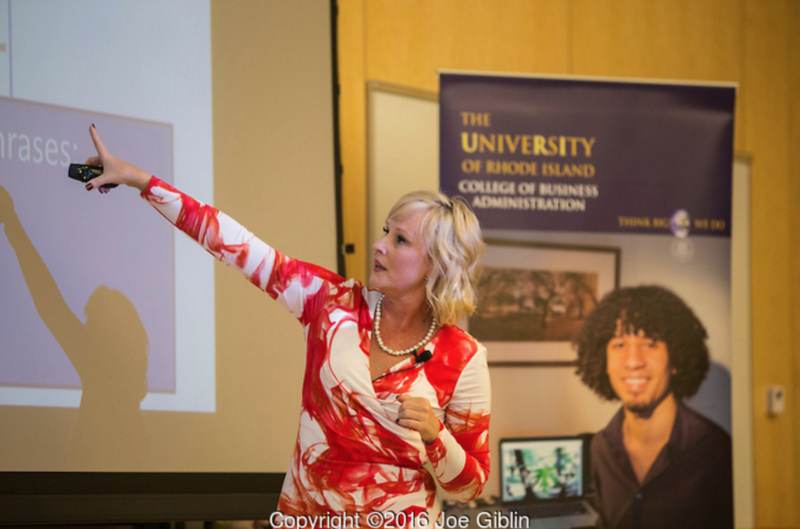 Bobbie Shay Lee was selected as the 2016 University of Rhode Island Vangermeersch Lecturer to present “Profit or Purpose: Looking Beyond the Surface”. 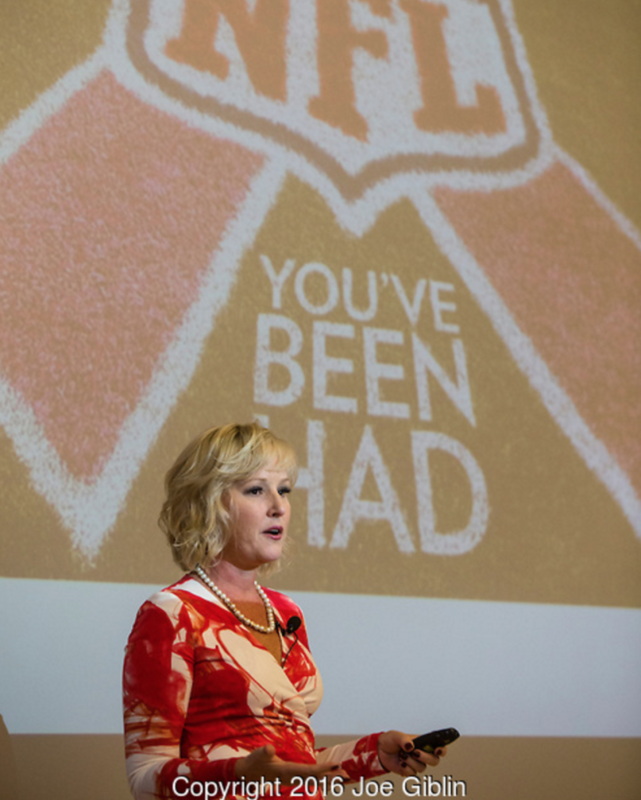 In her address, the former NFL cheerleader told the stark truth about some cause-related marketing and how consumers can be well informed about purchasing products with ties to charitable organizations. A breast cancer survivor, it was Lee’s quest for information about funding from the NFL’s “Crucial Catch” breast cancer campaign that led her to create the Center for Transparency. Through the Center, she has worked to provide clarity about the profits being made and details of exactly how much money is actually contributed to a company’s selected non-profit. Read more about her lecture in the University of Rhode Island student newspaper. INBOUND features inspiring keynotes, innovative talks, educational breakout sessions, hands-on lessons and tons of networking. Join us (and 10,000+ new friends) in Boston from September 8th through the 11th to get inspired by Seth Godin, Daniel Pink, Brene Brown, and dozens more, including comedians Aziz Ansari and Amy Schumer. with more sessions being added daily! We are so excited about participating in this conference and are working on scheduling a breakfast or happy hour with friends and colleagues from across the country while we’re there. Let us know if you’ll be attending and we’ll add you to the list! I had the pleasure of chatting with Gary Ware on his Breakthrough Cocktail podcast this week. This episode focused on creating the career of your dreams, so we talked about my career path, how I chose advertising, how to network, creating work/life ‘balance,’ what I look for when hiring new talent and more during our half hour together. One of his questions was, “What did you want to be when you grew up?” I responded that I can only ever remember wanting to go into advertising. Maybe it was watching Darren create ads at McMann & Tate on Bewitched reruns, AdCouncil PSAs during Saturday morning cartoons, or the Superbowl, but I was hooked very early. By the time I was 12 years old, I was on a mission to have an ad agency. Such a nerdy child. I am so fortunate and grateful that I get have the ‘career of my dreams’ and work with incredibly smart and inspiring clients. It was kind of Gary to ask me to join him on his podcast and hope that one person hears a nugget that helps them find their dream. Happy listening! 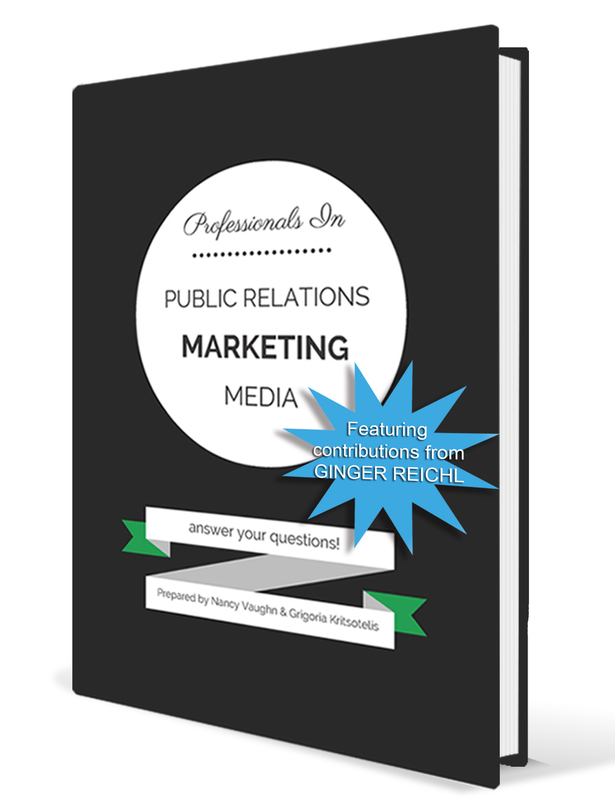 Gary helps young professionals reach their full potential with coaching and mentorship. You can subscribe to his podcast on iTunes to listen to all of his guests and get a little insight of your own.